Nothing ruins your day like a slipping transmission. Sometimes transmissions can go on for months without you noticing the problem. Other times, they just quit working. You need to regularly check the fluid in your transmission to make sure it is clean and does not smell hot. If you check it and it smells hot then get it to Elkhart Mechanics and they check it out fully. Transmissions do not like heat. If there is a leak and it loses fluid, the internals will start heating up and eventually the transmission will need a complete rebuild and that’s not cheap. But if you get it to the good folks at Elkhart Mechanics before things get ugly, they can save you a lot of money and make your day much better. When you hear that the cause of your car’s problems is a faulty transmission, the first thing you probably imagine is your hard-earned money flying out of your bank account. At Elkhart Mechanics, it does not have to be that way. We can repair, rebuild, or replace your transmission for the best price in town. 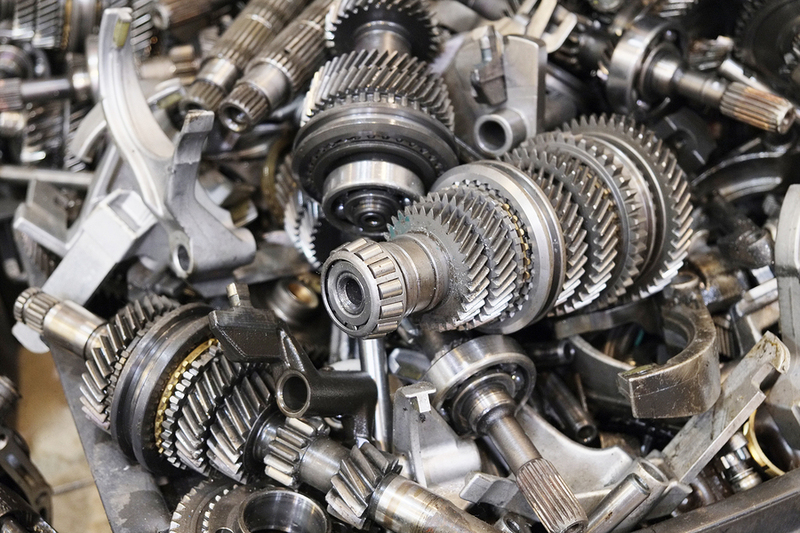 A car’s transmission is not just one part; it is actually a series of interconnected parts. The transmission controls whether the car is in park, drive, or some other gear, and thus it sends information to the wheels to make them roll forward or backward or stay still. Most cars made in recent decades have automatic transmission, but there are still cars with manual transmission, also known as stick shift, on the road, and there are still people who prefer them. Needless to say, if one part of the transmission fails, its problems extend to the other parts. The gears next to your wheels may be fine, but you aren’t going anywhere if your car is stuck in park. Many transmission problems can be prevented by monitoring the car’s transmission fluid. You can prevent unnecessary friction by ensuring that your car has enough transmission fluid and adding more when necessary. If your transmission fluid looks dark or smells burnt, you need to drain it and replace it. One advantage of manual transmission systems is that they are often easier to repair; sometimes simply replacing the clutch does wonders to get the car back in working order. Other than transmission fluid symptoms, other signs that your car made need to have its transmission repaired are if the clutch makes a grinding sound when you shift gears or if the car makes noises such as clunking, grinding, or humming, when it is in neutral. You might also feel a delay when you change gears.